What is morality, where does it come from, and how does it work? Scholars have struggled with these questions for millennia. But we now have a scientific answer. The theory of ‘morality as cooperation’ uses the mathematics of cooperation—the theory of nonzero-sum games—to identify the many distinct problems of cooperation and their solutions, and it predicts that it is the solutions employed by humans that constitute ‘morality’. Thus, morality turns out to be a collection of biological and cultural solutions to the problems of cooperation and conflict recurrent in human social life. This theory generates a comprehensive taxonomy of moral values—a Periodic Table of Ethics—that includes obligations to family, group loyalty, reciprocity, bravery, respect, fairness, and property rights. 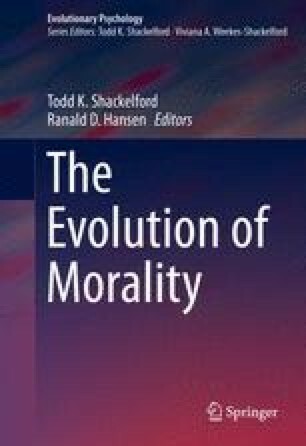 And because morality as cooperation makes principled predictions about the structure and content of human morality, which can be tested against those of rival theories, it reveals that the study of morality is simply another branch of science. I am very grateful to Helena Cronin and Daniel Mullins for their enormously helpful comments on numerous drafts of this chapter. Balliet, D., Wu, J., & De Dreu, C. K. W. (2014). Ingroup favoritism in cooperation: A meta-analysis. Psychological Bulletin, No Pagination Specified. doi: 10.1037/a0037737. Carter, G. G., & Wilkinson, G. S. (2013). Food sharing in vampire bats: reciprocal help predicts donations more than relatedness or harassment. Proceedings of the Royal Society B: Biological Sciences, 280(1753). doi: 10.1098/rspb.2012.2573. Hamilton, W. D. (1964). The genetical evolution of social behaviour. Journal of Theoretical Biology, 7, 1–16, 17–52. doi: 10.1016/0022-5193(64)90039-6. Pinker, S. (2010). The cognitive niche: Coevolution of intelligence, sociality, and language. Proceedings of the National Academy of Sciences of the United States of America, 107, 8993–8999. doi: 10.1073/pnas.0914630107. Strassmann, J. E., & Queller, D. C. (2014). Privatization and property in biology. Animal Behaviour. http://dx.doi.org/10.1016/j.anbehav.2014.02.011.